The blockchain-based accelerator aims to identify a start-up company to invest in and support. According to a press release, the first-ever blockchain-themed accelerator, run by Hong Kong Science and Technology Parks Corporation (HKSTP) in partnership with Molecular Hub and Hong Kong Applied Science and Technology Research Institute (ASTRI), has achieved unprecedented success. Photo: Head of Incubation and Acceleration Programmes of HKSTP gives talk. Source: HKSTP, Press Release. The programme winner is the first acceleratee of HKSTP-initiated thematic accelerator, Global Acceleration Academy (GAA), to gain a million-dollar investment prize since GAA’s launch in 2017, drawing an enthusiastic response from local and overseas start-ups. 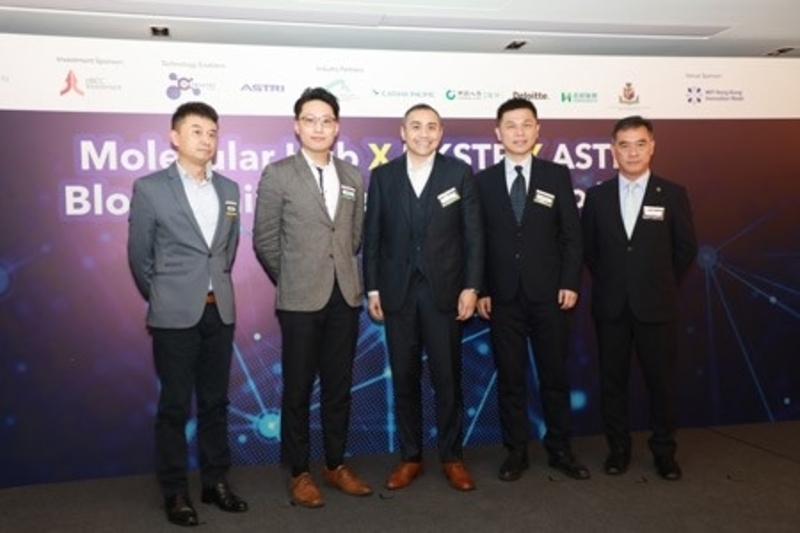 The latest GAA programme, the Molecular Hub x HKSTP x ASTRI Blockchain Accelerator, is being held from November 2018 to January 2019. A total of 17 local and overseas start-ups enrolled in the 13-week training programme. The Accelerator culminated in a demo day today, during which seven shortlisted participants vied for the HK$1 million investment prize offered by the programme’s investment sponsor, HBCC Investment. The winner (who will be granted HK$1 million investment prize) will be selected by a panel of investment sponsor, technology enablers and industry partners. The Blockchain Accelerator drew a wide range of industry partners to share their expertise with acceleratees indicating broad industry interest in adopting blockchain technology for commercial applications. The industry partners offered acceleratees insights for market validation and mentorship, as well as industry connections to help the start-ups explore and tap into blockchain-related opportunities. GAA is an intensive business acceleration programme spearheaded by HKSTP to connect up-and-coming start-ups with world-class enterprises. The programme invites start-ups from around the world to Hong Kong to transform their technologies into practical solutions that have commercial value for Asia. The Head of Incubation and Acceleration Programmes at HKSTP stated that the GAA offers comprehensive technical and business training to acceleratees enabling them to stay at the forefront of technology. In this blockchain-theme cohort, the Park organised training in topics ranging from fundraising, one-on-one pitching, cybersecurity, blockchain-related regulation to risk management. It was added that GAA will focus on eight industry verticals namely Real Estate, Travel & Hospitality, Logistics, FinTech & InsurTech, Consumer, Education, Smart City and Healthcare. The Executive Director of HBCC Investment said that for meeting market needs, GAA has successfully shaped the positioning of each acceleratee so as to ensure its true value can clearly be reflected. HBCC Investment will invest in one of three finalists that have outstanding team credentials, practical technology applications and capacity for further market development of its business model. 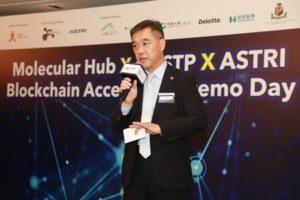 The CEO of Molecular Hub noted that GAA has pushed blockchain development in Hong Kong to the next level and the hub will continuously track the growth of the seven finalists to ensure they have access to the necessary services and global resources, such as supporting policies, marketing promotion and talent recruitment, whilst connecting them with suitable investment to allow them to further develop. The Chief Executive Officer of ASTRI said that the research agency enhances the technological know-how of the programme participants and has provided training on the ‘Technology’ and ‘Trust’ aspects of blockchain applications. This programme is part of ASTRI’s overarching role in facilitating robust FinTech development for Hong Kong. In partnership with HKSTP and Molecular Hub, the success of the Blockchain GAA programme proves that efforts are paying off.